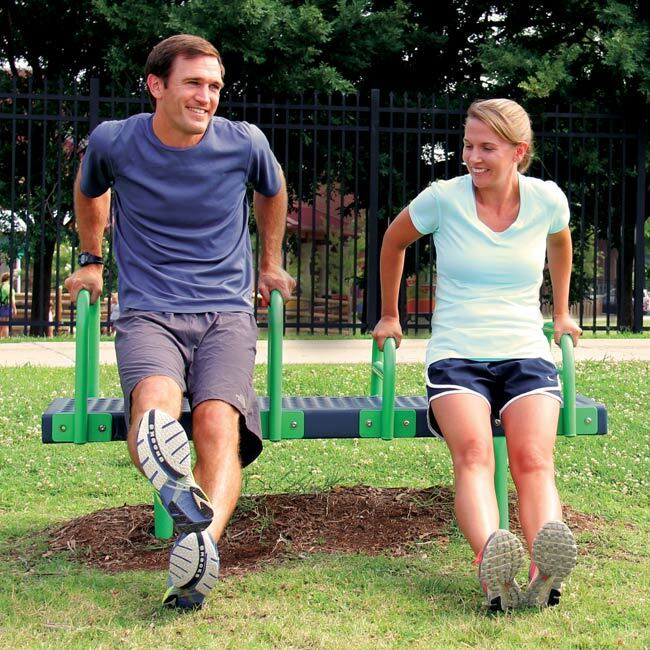 The outdoor Bench Dip Station is one of the best exercises to develop arm strength and engage the usere's core muscle groups. The user grasps the dip bars, lowers to the level of the seat, then raises back to the starting position. The Bench Dip is a great strength station for outdoor bootcamp classes. This outdoor park fitness equipment is low maintenance and will serve the members of your community well for years to come.